Last weekend our players and families were doing double-time at the Sanford Pentagon: playing games and running book and clock. The busy schedule sure didn't slow our players down - which means we get to recognize another crop of stand-out athletes. These Team Brandon Valley 6th and 7th graders earned a first place finish at the Sanford Pentagon Spring Slam last weekend. 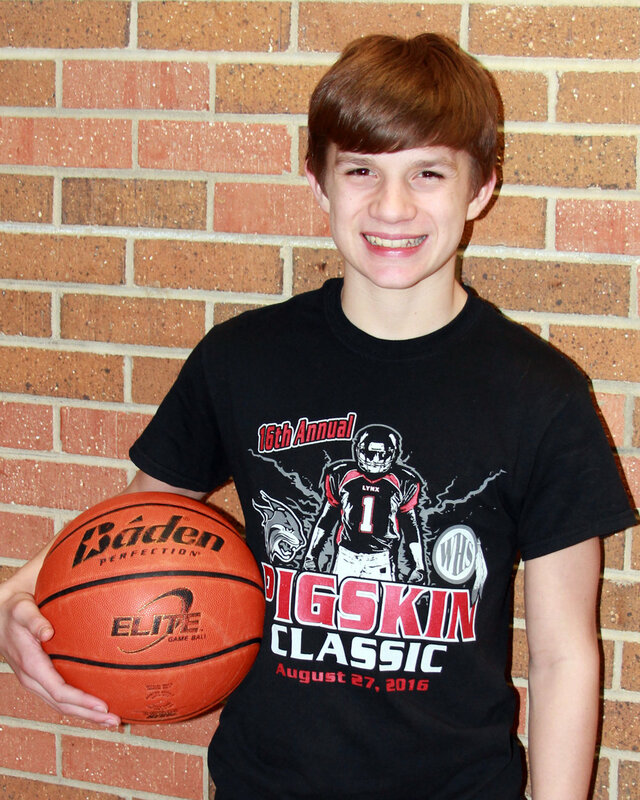 Lukas Morgan, 6th grade: Lukas did an outstanding job on defense last weekend, shutting down some very good players. His success on the defensive side of the court isn't a surprise - he tells us blocking shots is his favorite thing about playing basketball. Coach Jurgens said he performed well against the press and made some key plays to help his team win 3 of 4 games during the tournament. When Lukas grows up he wants to be a soccer player. His favorite sports team is the Cleveland Cavaliers and when he's in school his favorite subject is science. Isaac Jarovski, 6th grade: Isaac Jarovski gave it is his all in four games this past weekend and showcased his leadership skills on the court. Coach Waltner said possession after possession he led his team - directing them into the offense and into a position to score. He controlled the tempo throughout the game, making him a key player to keep on the floor. When he grows up he wants to be a teacher and his favorite subject in school is math. Isaac tells us his favorite basketball memory is a special game when he made ten points in one minute! Kaden Hanzel, 8th grade: Kaden plays hard all of the time and is an aggressive rebounder. He is an incredibly coachable athlete and a great teammate. Coach Scholten said one thing that stood out this weekend was how encouraging Kaden is to his entire team. In his spare time Kaden likes to play basketball with his friends and noted his favorite basketball memory is when his team won two tournaments in a row. His favorite Brandon Valley athlete is incoming senior, Evan Talcott. Max Van Westen, 8th grade: Coach Deckert says it is fun to watch Max complete because of how hard he plays during every possession. The pace of the game immediately changes when he is on the floor. Max tells us his favorite Brandon Valley athlete is Chase Marso. In his spare time he likes to play basketball with his friends and his favorite basketball memory is winning the YMCA championship game. 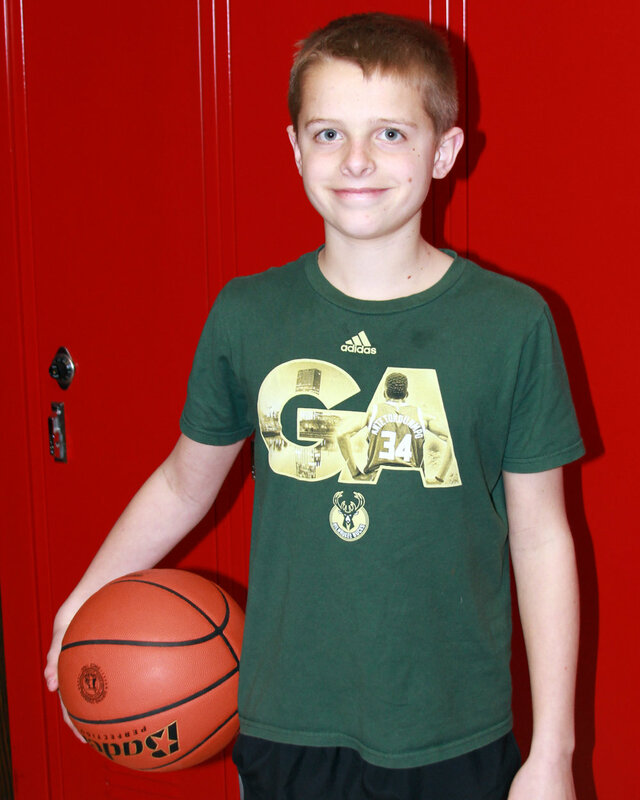 Cole Borchardt, 8th grade: Cole knows how to own the floor and control the pace of the game. Coach Deckert says Cole consistently forced an uncomfortable pace for each of our opponents this weekend. Cole tells us his favorite subject in school is PE. When he grows up he wants to be an MMA figher. His most memorable basketball moment is winning against Memorial Middle School. His favorite Brandon Valley athlete is Evan Talcott. Jace Christoffer, 9th grade: Jace had a great opportunity to step up this weekend and he did just that. According to Coach Waltner, Jace was a leader on and off the court all weekend long. His team looked to him in crucial moments and he answered with big time shots. When he grows up, Jace plans to be a pilot. He tells us his favorite thing about basketball is putting the ball into the hoop. His most memorable basketball moment was making a half court shot just before the half-time buzzer. Carter Olthoff, 11th grade: Carter was a difference maker in every game he placed this weekend. Coach Schultz said he's got next level ability and played like it all weekend long. When things got tough, he buckled down and just played harder. Older PostA little snow won't stop this team!